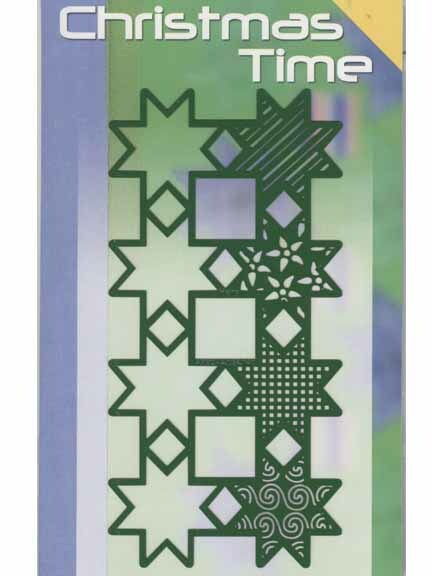 This template has 8 stars, with different designs for embossing on cardstock, vellum or parchment. It would be useful for making borders, it also would fit nicely on a 4x6 card. Stencil size is 3 1/4" x 3 1/4"